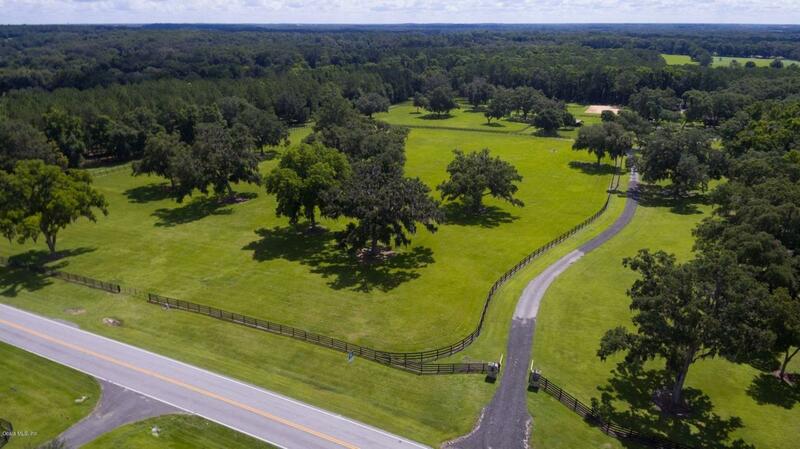 Destiny Ranch is a 29+ acre Estate Farm, located on ''Millionares Row,'' minutes from Golden Ocala, the new World Equestrian Center, shopping, and fine dining. 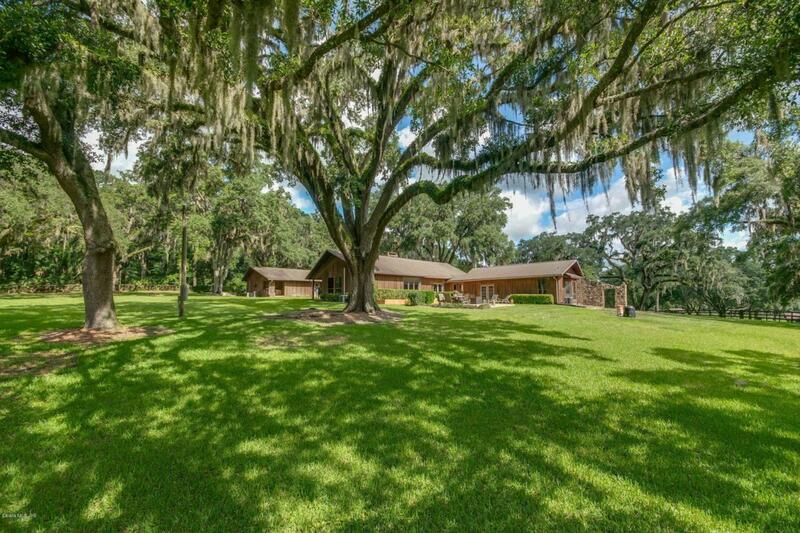 This outstanding farm offers total privacy, majestic live oak trees, and lush pastures with wonderful roll to the land. 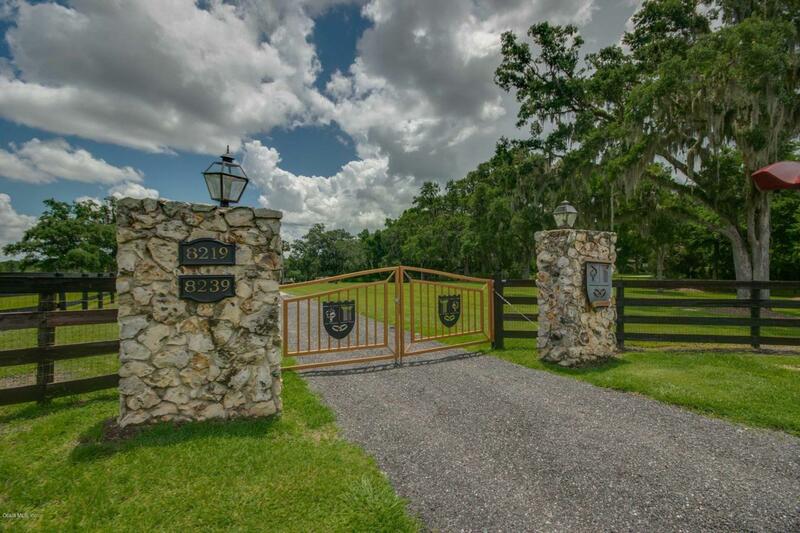 The custom home has old Florida charm, with an open floorplan, and sweeping views of the pastures from large gabled windows. The 8-stall, center-aisle barn with office and RV hookup is newly appointed and freshly painted. There is a new 3,348 sq.ft. Morton Building, with 2,268 sq.ft. for equipment (RV heigh doors), plus a 1,080 sq.ft custom 1/1 apartment. There are 2 riding arenas on the farm, both with footing and drainage. 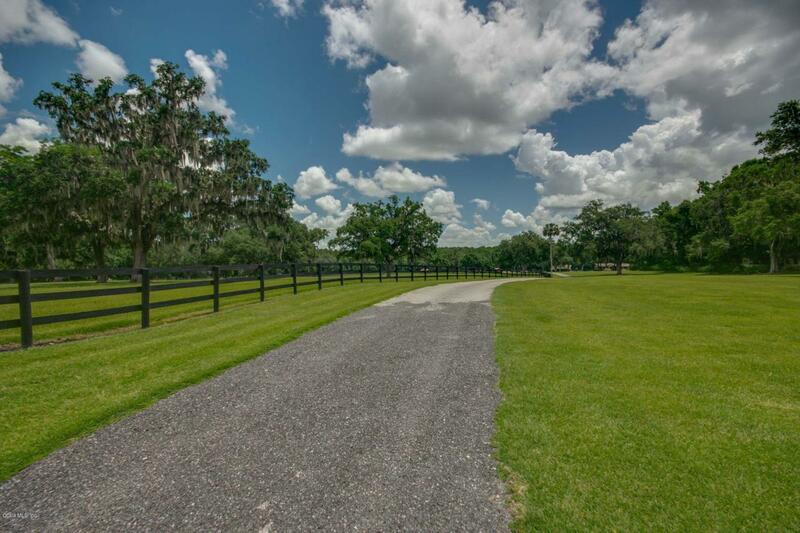 The Ranch is gated, and has a paved driveway the winds through the property up to the home.